So, you buck up and spend the extra to buy organic because you think this way you are getting totally safe, totally chemical free, totally healthy, right? I hate to tell you, but if this is what you have been thinking about that “organic” label you are spending your hard-earned money on, you’re being duped. Organic products are one of the fastest growing industries out there, and we are talking billions of dollars. We baby boomers, in particular, are seeking ways to preserve our health and fight back against the clock and disease. Buying organic is one of the ways we are doing this. Many of us search out that “organic” label, accepting that it is going to cost more, and often failing to investigate further. Don’t think for a second that the food and cosmetic industrialists are not taking full advantage of this. They know that throwing that “organic” label around means more bottom line profits, and after all, that’s what they are after. Meanwhile, naïve consumers think that “organic” label is going to protect them from pesticides, preservatives, GMO’s, FD&whatever food colorings, and the list goes on and on. 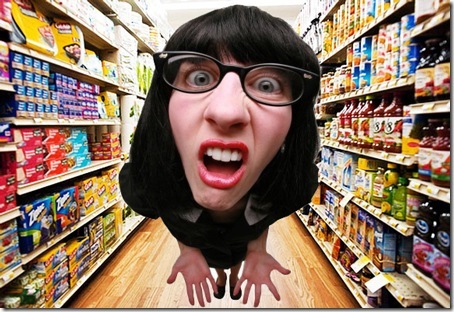 Trying to sort out “hormone free,” “all natural,” “cage free,” “non-GMO,” “grass fed,” and all the other greenwash brandings is enough to wear down any consumer strolling down the grocery store aisles until you just toss the product in your basket and hope for the best. There are around 100 of these greenish labels, the mother lode and most alluring of them all being “organic.” The US Department of Agriculture is the big cheese responsible for organic labeling regulations, and its “organic” seal, since 2002, has been revered as the gold standard in labeling. “100% Certified Organic” If the products are 100% organic, they earn this gold-standard label. However, water and salt slide in on an exclusion because the USDA says they are natural. But, but… what about the source of that salt, and the contamination in that water? “Organic” If a product contains 95% organic products (remember, excluding salt and water, ugh), it may earn the right to the use of this label. Listen up, this label means 5% of the ingredients may be NONorganic and/or NONagricultural. In other words, 5% toxic and health adverse items can slip under the radar and have you thinking you are totally organic. “Made with Organic Ingredients” This is where things start getting really dicey. Consider this deception—products carrying this label need only contain 70% organic ingredients (again, excluding salt and water). And, for those products that do not qualify for any of the above labels, you may see some organic items listed in the ingredient list to persuade you. That means this product contains less than 70% organic ingredients and has failed to pass the requirements to use “organic” anywhere on the principle label but can slip it in on the ingredient list for specific items. So, with all this confusion and deception around labeling and what’s really in that product anyway, how is one supposed to shop when all you want to do is get the best quality for your money and protect your health from harmful nonorganic ingredients while you are at it? First off, buy organic whole. What this means is buy as close to the way nature made it as possible for all your food items. Buy foods that ARE the ingredients, not foods that are MADE with ingredients. And about those personal care items… Look for short and simple ingredient lists with items you recognize. If you see confusing, “chemical-like” words you don’t know and can’t pronounce, put it back and step away from the aisle. Become a label-reading detective. The tinier the print, the more you need to know what lurks in the small print. Become informed. There is great power in knowledge because at the end of the day, we are talking about your health here. And, it is totally up to you to take care of it. You didn’t think the profit-hungry industrialists were going to do that? Did you?